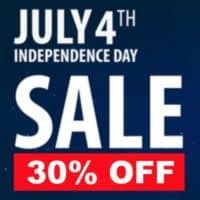 30% off Independence Day Sale at Budget Forex Shop! Let’s celebrate Independence Day with an amazing 30% OFF discount sale at Budget Forex Shop. NO CODE needed! Just add any of the budget forex products to your cart and the 30% discount will be applied automatically (by pure magic). This offer is valid until the 4th of July midnight, so stock up on all your favorite products quickly.